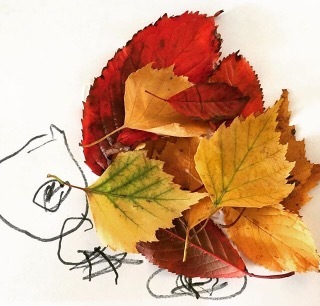 We’ve been taking advantage of all the beautiful leaves and conkers that have fallen off the trees to create artwork with the children. At first glance it might just look like good fun sticking and glueing them down and painting/colouring. But children also develop many skills whilst completing these activities. 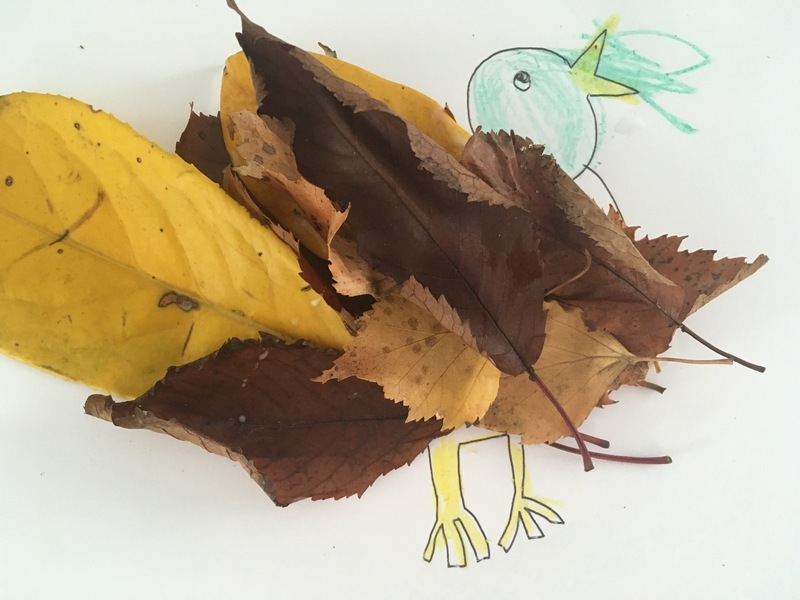 We made a Leaf Hedgehog after a twitter friend recommended the activity (thank you!). We also made a bird and a conker sheep! Fine Motor Skills- Picking up the leaves, sticking them down in the correct place, painting and colouring- all requires the use of the tiny muscles in the hands and fingers that develop fine motor control. Fine motor skills are vital for learning to write, use a knife and fork etc. Hand Eye Coordination– Putting the leaves and glue in the correct places involved the children to use hand eye coordination. Understanding of Plants- So many questions about plants can be answered in this activity. Why do leaves fall of the trees? What is Autumn? What’s the weather like in Autumn? What are conkers and where do they come from? Why do conkers have a spiky shell? Why do leaves change colour? What colours are the leaves? Speech and Language skills- This activity not only elicits questions from children which helps build their speech and language skills. But key words such as Autumn, Leaf and even deciduous can be introduced! Encouraged Use of Pen- I’ve written before about ways to encourage children to draw and colour. This is another great activity for doing so. 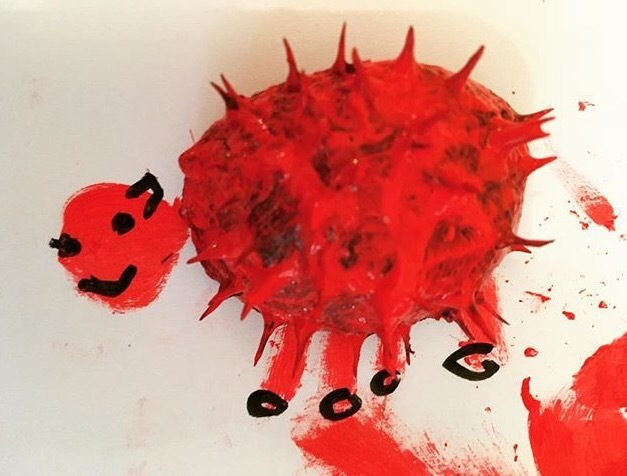 By not drawing the Hedgehog outline myself it meant the child had to draw one in order to complete their Hedgehog- a great incentive! What Autumn crafts are your favourites? Please comment or share on twitter! These are lovely ideas! We actually went leaf hunting to make a hedgehog over the weekend. I love autumn and all the stuff it brings for making hands-on, tactile craft projects. Thanks so much for joining us for the #dreamteam. Thank you Annette. I’m looking forward to using leaves to start making Christmas crafts soon too! A really fun activity which incorporates a mountain of skills. Thanks for pointing them out to me. It seems obvious when it’s written down. You’re very welcome, thank you for your lovely comment. Managed to get the kids out of the house with the mission of collecting leaves and conkers to make some artwork. What a fun activity. Thanks. Loving your blog. Thanks so much Jean, pleased you’ve had fun with it!